Citizen TV Presenter, Yvonne Okwara is mourning the death of her elder brother, Albert Okwara. About a year ago, the presenter opened up about her brother who lived with a disability as a deaf-blind person. 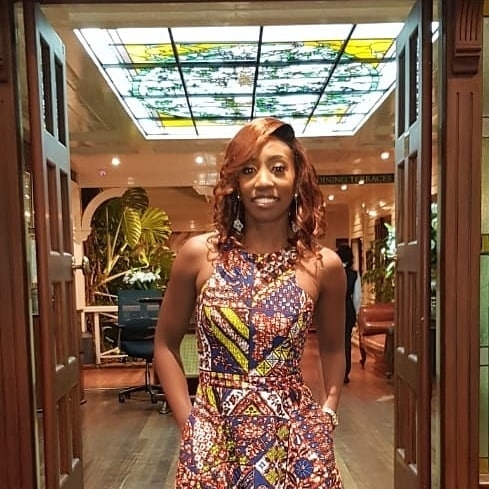 In a long Facebook post titled ‘My Journey With Albert Okwara’, the news anchor opened up about sheltering her brother who had disability. “Allow me to introduce you to him. Albert Okwara was born close to 50 years ago. He is deaf-blind. And yes, it is one word. Not deaf and blind!” she said. Okwara shared that doctors had told her parents that her brother would not live past 5 years old, but he clearly lived beyond their expectations. The news anchor shared the news on her Instagram saying that she is heart broken with the death of her brother. “I’ve lost my beloved brother! A few years ago, I gained the courage to speak about his disability and our family’s long journey with him. So many of you reached out to me and were kind and empathetic! I thank you. My journey with Albert Okwara is now over, at least in this realm. He left us as peacefully and as quietly as he lived his entire life. My heart is broken, but my memories are full. Goodbye my beloved Albert! Fly with the angels….? ?” she shared. Kahawa Tungu sends condolences to the Okwara family.